"International Trade Fair Wines and Spirits"
ProWein stands as the leading retail show in Germany. It gives life to the food and beverages industry and its stakeholders. This event presents surprising taste experiences at the Fizzz Lounge, best-practice presentation at the special show same but different, top-class discussions in the Food & Beverage, Meat, Poultry & Seafood, Wine & Spirits industries. Various attendees cherish the presence of leading business professionals who carry out discussions and conferences and engage in productive business. Nice event. Too crowded and too little services like restaurantes and even toilettes. 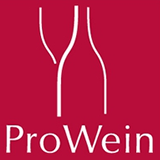 Prowein will play host to 3500 exhibitors who are the pioneer manufacturers, suppliers, producers and exporters of sparkling wine, liqueurs, quality wine, brandy, spirits, table wines, fortified wines, distilled products, viticulture and enology machinery and equipment, supplementary utensils and accessories, servicers, trade literature, mineral water and many more. This event will be able to draw in huge number of attendees and qualified buyers and thus will be able to provide the exhibitors with excellent marketing and networking opportunity. Holiday Inn Düsseldorf City – T.. Bed & Breakfast am Rather Kreuz..